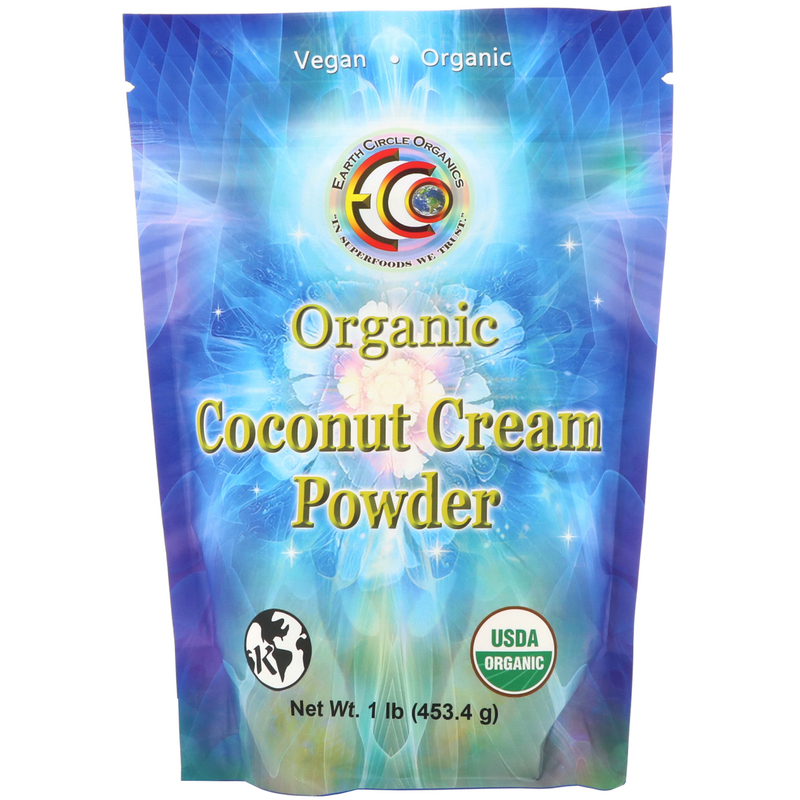 Earth Circle Organics Coconut Cream Powder is a delicious plant based milk. 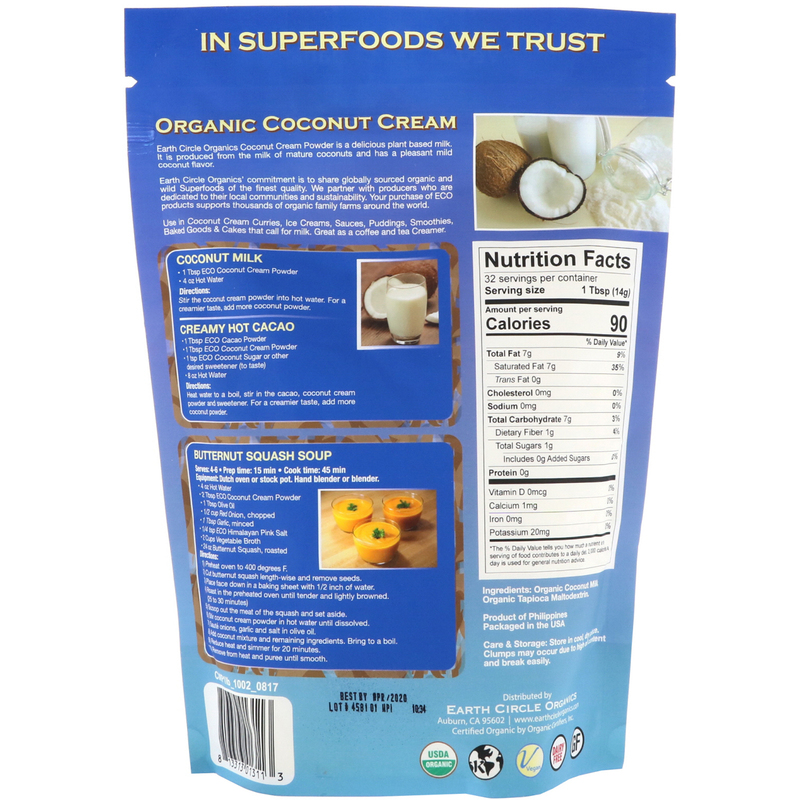 It is produced from the milk of mature coconuts and has a pleasant mild coconut flavor. Use in Coconut Cream Curries, Ice Creams, Sauces, Puddings, Smoothies, Baked Goods & Cakes that call for milk. Great as a coffee and tea creamer. Organic coconut milk, organic tapioca maltodextrin. Care & Storage: Store in a cool, dry place. Clumps may occur due to high oil content and break easily.